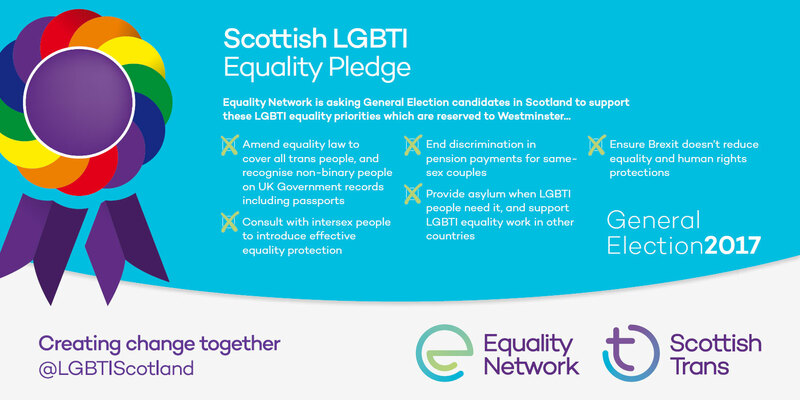 We welcome the support of all the five main party leaders, who have committed to the Scottish LGBTI Equality Pledge (shown in order of current Westminster, then Holyrood, parliamentary representation). 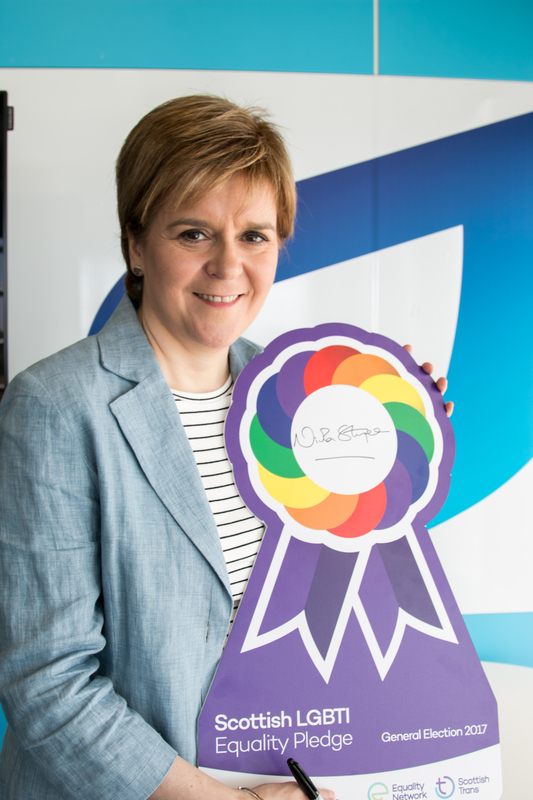 The Scottish National Party: Nicola Sturgeon signed the pledge on behalf of the party and its candidates. 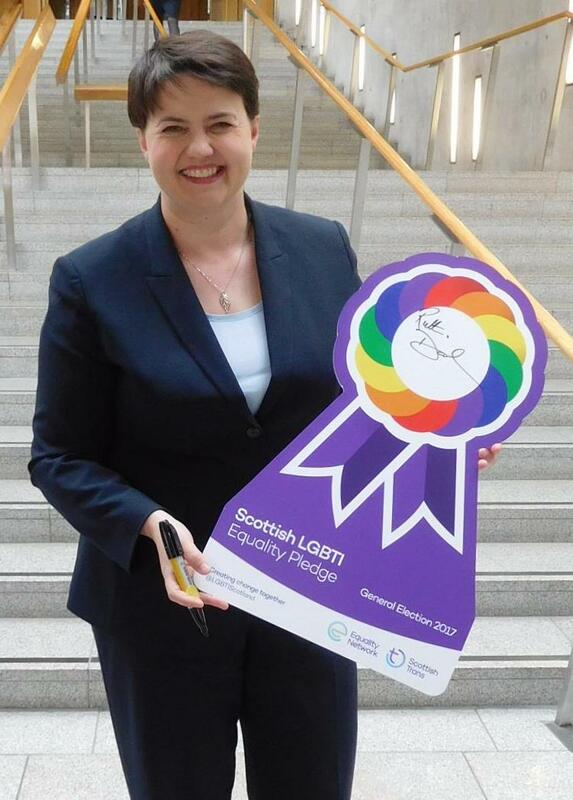 The Scottish Conservatives: Party leader Ruth Davidson signed up to the pledge. 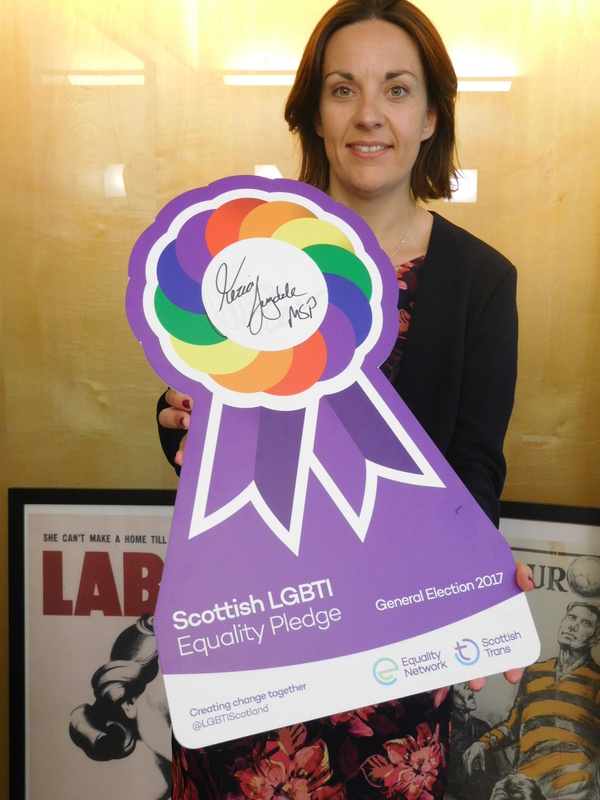 The Scottish Labour Party: Kezia Dugdale signed the pledge on behalf of the party and its candidates. 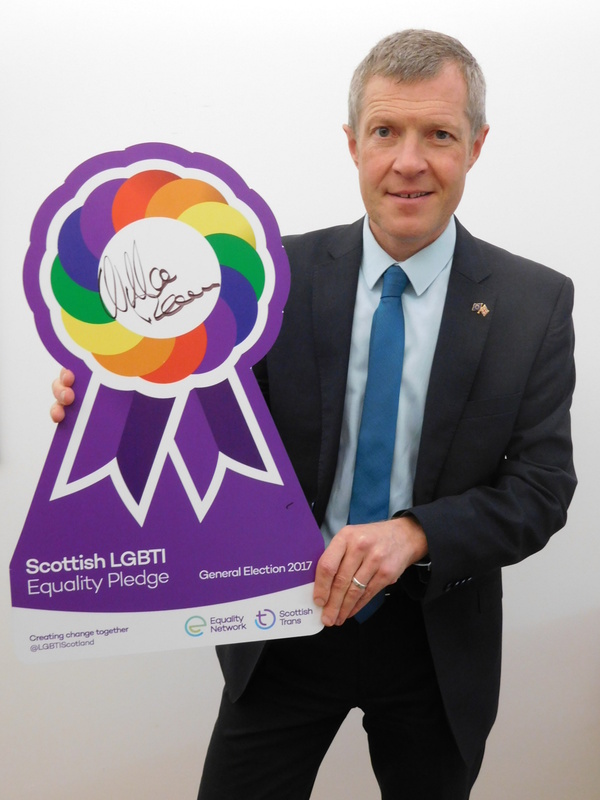 The Scottish Liberal Democrats: Willie Rennie signed the pledge on behalf of the party and its candidates. 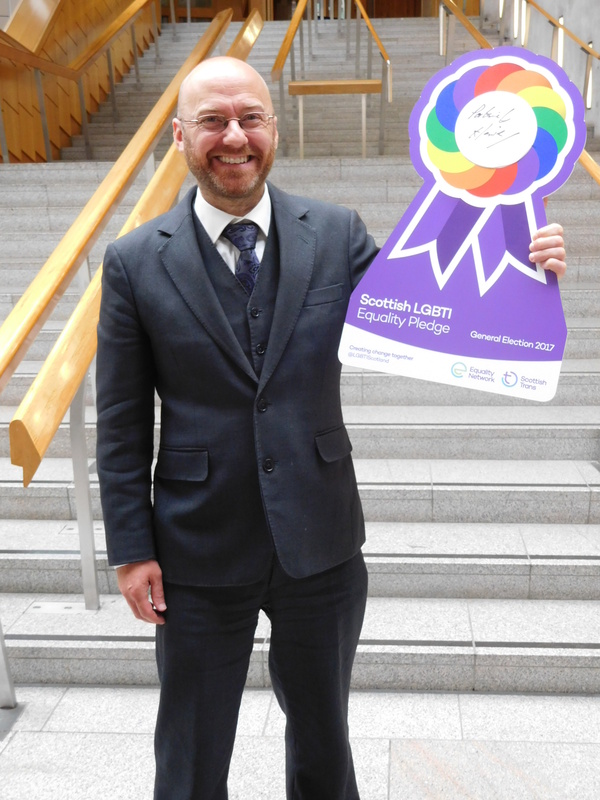 The Scottish Green Party: Patrick Harvie signed the pledge on behalf of the party – all three Green candidates have also signed up (see below). Take action – Urge your candidates to support LGBTI equality by using our simple and easy contact tool here. If you are a candidate and wish to support the pledge please email us.